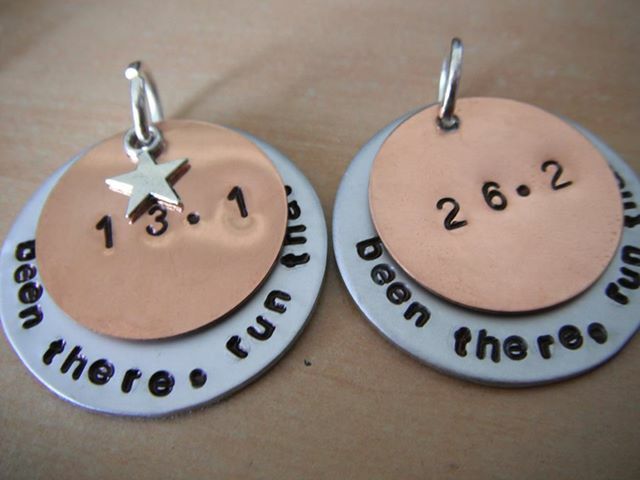 We runners love our bling. Each and every one of my medals is special to me, signifying an achievement be it big or small. 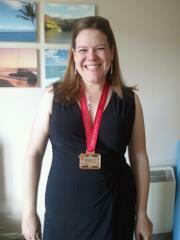 None is more special to me than my London Marathon 2012 medal. I love it. I’d wear it every day if I could. But the problem is that unless I’m looking to dress up as an early 90s rapper it’s a bit on the large side to be an everyday accessory. So when I discovered that a friend of mine had started her own business making bespoke stamped jewellery I jumped at the opportunity and placed an order with her. I am now the proud owner of a piece of running bling that I can wear everyday if I want. 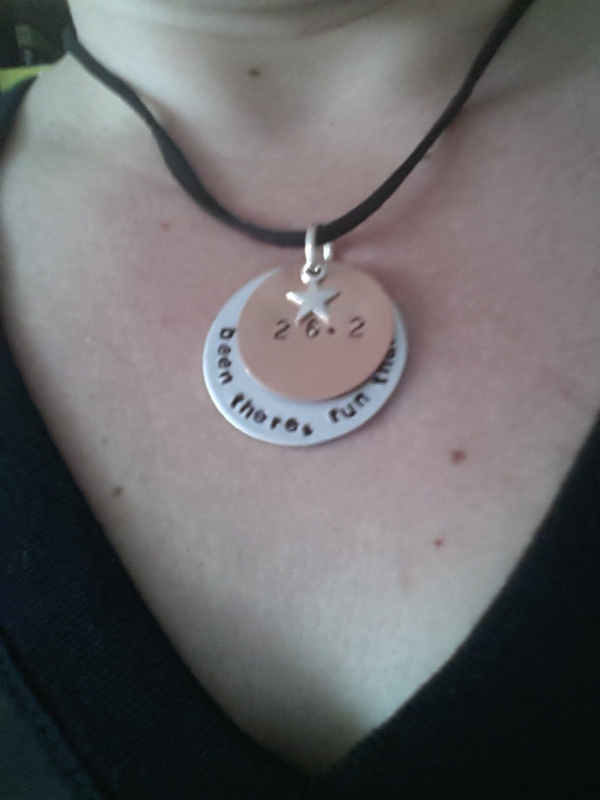 I also had one made in a 13.1 version, for my Edinburgh Half Marathon triumph this year when I ran my best race ever. Here’s a pic of both of them in production. I love both of them, especially the fact that they’ve been made just for me. If you like them go and check out my friend’s Facebook page – she’s got loads of lovely stuff and her prices are very reasonable indeed. Previous Run with an Idea #3 Juice cleanses – healthy or hype?